The WKA fighter of the Month is Jose Santiago. Fighting out of Bushido Muay Thai Club under the tutelage of head trainer Manuel Ramirez. Jose has been studying martial arts for over six years and has spent over a year and a half of that time as a member of Bushido Muay Thai Club. 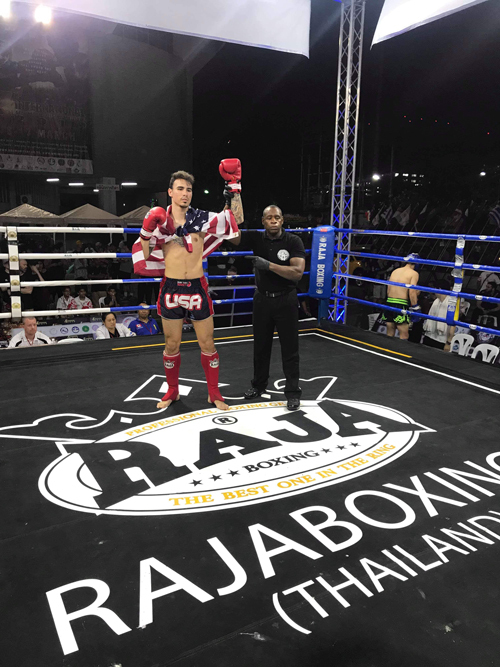 In addition to an impressive overall amateur and professional record, Jose is the embodiment of determination and fighting spirit having recently competed and medaled in both the WKA World championships and the WKA International and Thai Games and Festivals in Bangkok Thailand. 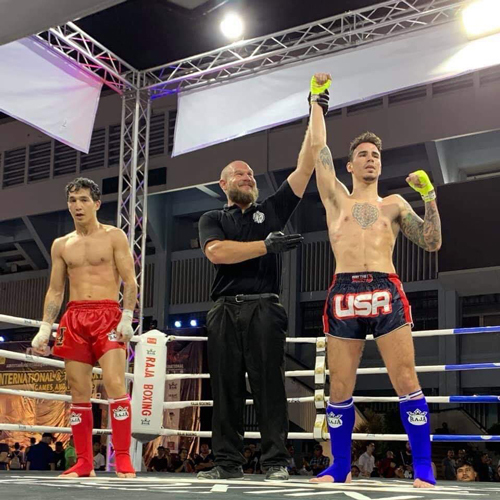 It is worth noting that although Santiago placed silver medalist at the WKA International and Thai Games and Festival, unlike many of the fellow USA fighters that competed, Jose had a very rigorous journey through this competition having fought skilled opposition every day of the entirety of the event. 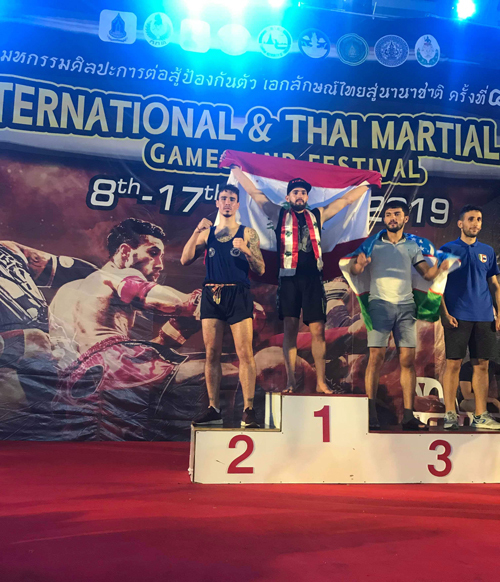 In no way to take away from the accomplishments of other WKA fighters at the International and Thai Games and Festival, it takes a tremendous amount of heart, passion and intestinal fortitude to compete each day during the course of competition and still places a medallist at it’s conclusion. When question about how he got involved in martial arts Santiago stated “When I was 13 my grandfather decided to signed me up for Muay Thai classes in a little gym in my hometown because he didn’t want anyone to mess with me and wanted me to be able to defend myself if I find myself in that kind of situation”. “I never considered competing until my first coach one day told me that he would ‘love to see me fighting and asked if I would like to do it’. Since that moment I fell in love with it and I will keep competing as long as my body allows me to”. When asked about his Bushido Muay Thai club, Santiago said “my gym is like my second home, a place where I can go every day and completely forget about anything going on outside of those walls. I don’t call them “coach” or “teammates” because they’re more than that...they’re like family to me. This gym is like no other from the moment you step inside you can tell there something different about it there are no egos...everybody’s always helping each other and pushing to make everyone better not only a Muay Thai but also in life. I can say joining them in this journey was one of the best decisions of my life”. Having crafted and cultivated a “traditional and technical Muay Thai style very calm but explosive when needed”, Jose’s advice for any new fighters would be that “it’s OK to lose...there’s no better way to learn than losing...also they shouldn’t feel bad if they’re scared... it’s completely normal and fear is what makes us survive in any situation”.